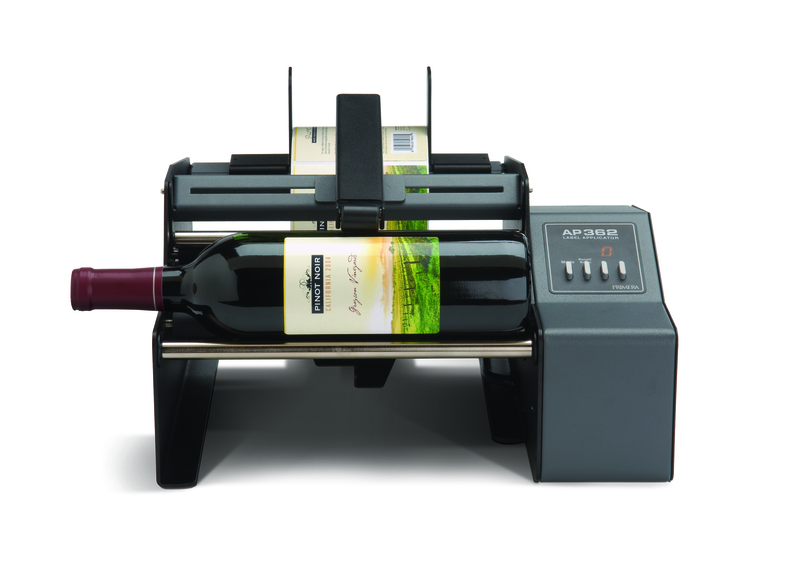 The Primera AP362 Label Applicator is a beautiful industrial piece of machinery that applies labels one piece at a time. It's easy-to-use, compact, and streamlined to give you the ultimate quality with each label you choose to apply to a product of your own choosing. This label applicator is also quick, and it can apply labels up to 1200 per hour, making it the perfect piece of machinery for your business if you are producing a large volume of products that need labels applied. The label applicator is easy to set up, and it dispenses labels quickly, so you'll never have to worry about time lag in order to get your products out to the customers you serve. It can apply labels to cylindrical containers, as well as too many different types of bottles and tubes. It's easy to use, and all you have to do is set up the applicator, place your jar or label in the machine, and then press a footswitch. Then your label is applied. This is clearly an easy solution for a business that needs to apply a large number of labels within a short amount of time. The Primera label applicator also gives your product a professional look. It doesn't do wrinkles, and all items come out of the label applicator looking brand-new, ready to go on the market or to a customer who has pre-ordered. All you have to do is press a button with your foot. The Primera AP362 is an advanced model, and it can apply up to two different labels (front & back label) to a product at a time. It's easy to use, and this process can be sped up by the fact that the model is advanced. It also features a built-in LED counter and has memory that enables it to remember up to nine front-to-back label outfits. The Primera AP360 applies a single label to the product. This compact-size, professionally-designed, board-approved, and industrial-strength label applicator is clearly the wave of the future for a new business. You will be sure to use it for your work and can easily train anyone depending on what your business's size is. It's the best product out there. Order one today.